In this video, you’ll challenge your Arabic listening comprehension skills. 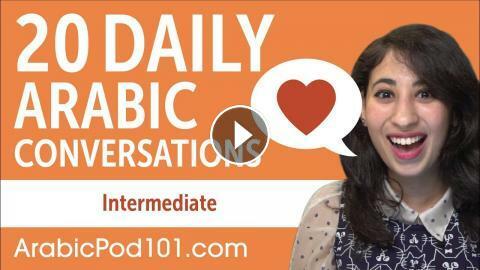 You will listen to 20 small dialogues for intermediate learners by Arabic native speakers. This is THE place to start if you want to start learning Arabic, and improve both your listening and speaking skills.